I'm not just a newbie, but have litterally just entered this world so any advice would begreat please. A client wants their puppets to move though copying the movements they make!!! So operating the movements away from the puppet. but where do i start??!!! Do I need to learn Ros? Thank you for considering ROBOTIS Dynamixel for your solution. Dynamixel is a smart actuator that can report various useful information to the controller such as present position, velocity, current(torque), temperature and much more by reading from and writing to the Control Table. Based on these information, developer can create specific features to meet the requirement of the application. XL-320 could be a great substitute for traditional RC servos. I'd like to help you to select the right Dynamixel for your application, and if you are considering puppet arms, you should consider the available torque. How long and heavy is the arm of the puppet? XL-320 is designed for a small humanoid robot such as ROBOTIS MINI(https://youtu.be/ypqDnURxWZY) so it may not appropriate for bigger size puppets. I'd also like to know which controller did you use for RC servos. 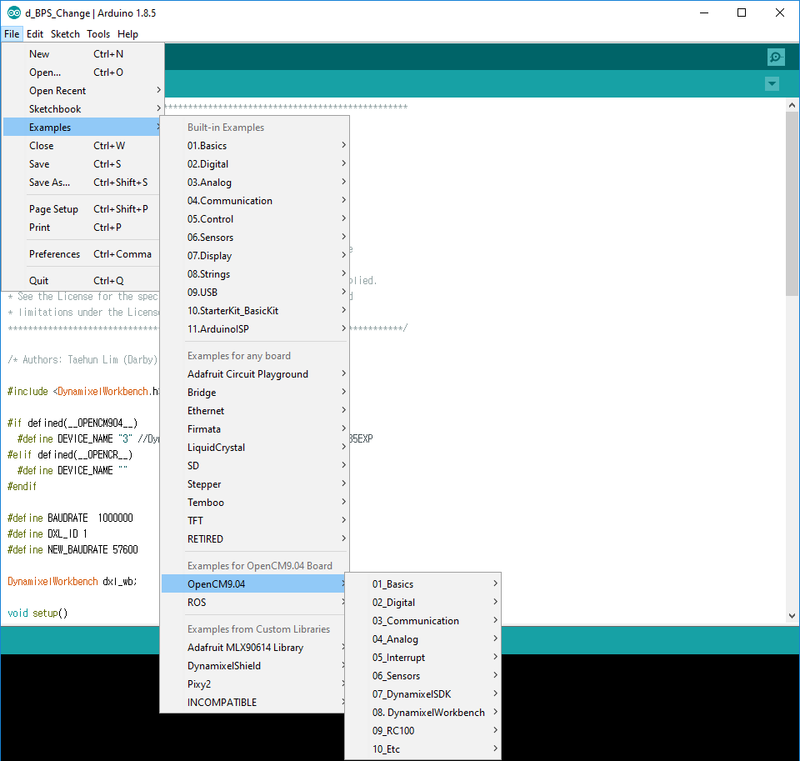 If you are familiar with Arduino controllers, I'd recommend to use OpenCM9.04 or OpenCR1.0 controller that supports Arduino development environment. If you've been using traditional program with C/C++ on your own controller, you can also implement DynamixelSDK in your project. OpenCM9.04 and XL-320 is a good combination to start a small project to understand Dynamixel with minimum expense and risk. Once you download the OpenCM9.04 board manager on your Arduino, you'll be able to find examples for OpenCM9.04 and Dynamixels.